This post, which is part of our new Blog Rewind series, originally appeared on the CEP blog in March 2014. 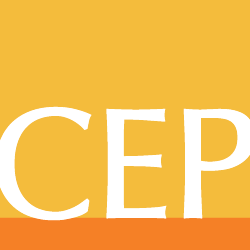 As part of the opening plenary at this year’s CEP Conference, I had the privilege to speak to a few hundred foundation leaders about the ways in which foundation staff — particularly program officers — can make or break the experience of grantees. And, in a subsequent breakout session, I shared CEP’s new data about the connections we see between grantees’ experience working with a foundation and staff’s experience working in that same foundation — a foundation’s culture, attitudes, and practices profoundly shape both parties’ work. In preparing for those talks, I returned, as I regularly do, to an essay by Alan Pifer about the importance of staffing foundations with people who understand both the head and the heart of effective philanthropy. The essay, written in 1984 for the Council on Foundations by Pifer, long-time president of Carnegie Corporation of New York, is called “Speaking Out – Reflections on Thirty Years of Foundation Work.” I encourage you to read it. Although it’s not easy to find online, there’s a scanned copy here from Grantmakers of Oregon and Southwest Washington. With so much to read, emails on top of new reports on top of blog posts, it feels like a luxury to re-read…anything. When I have a few free minutes, there are a few pieces I try to return to, particularly an essay by Alan Pifer that serves as a regular reminder to me that the attitudes, values, skills, and capabilities of the people working in philanthropy are critically important to its success — even if we in the field often spend more time talking about this or that strategy, research, or framework. A discerning heart. I couldn’t agree more. Not necessarily the easiest thing to pinpoint in an interview of a prospective foundation program officer or president, but I’d argue important to attempt. And I think it’s important that all of us working to help foundations hold ourselves to the same standard. That phrase certainly captures so much of what we strive for in CEP’s work. Our surveys of grant recipients, donors, and staff all delve into aspects of both head and heart. Of course we ask about the “head” of processes, strategies, knowledge, and helpfulness of resources. But we also ask about fairness, approachability, a sense of feeling valued, and other questions related to the “heart.” And when I personally step in front of a foundation staff, I always think back to Pifer, and try to be guided by his words. Even if he was writing about foundation staff, his advice, roughly paraphrased, applies to all of us: “If [we] are arrogant, self-important, dogmatic, conscious of power or status, or filled with a sense of omniscience” the work we do cannot be its best. “If, on the other hand, [we] have genuine humility, are conscious of [our] own limitations…are humane, intellectually alive and curious people — men and women above all else eager to learn from others,” then the work we do will probably be better. I don’t always reach that ideal, but I always try. It’s good advice for foundations and the staff and board they choose to do their work. It’s good advice for all of us here at CEP. I encourage you to take a few minutes to read the essay, and I hope it’ll end up for you, as it has for me, a classic. Kevin Bolduc is vice president of assessment tools at CEP. Follow him on Twitter at @kmbolduc. Previous Post Philanthropy in Chile: Moving Forward to Public Good Next Post Are Big Staffed Foundations Obsolete?